The Byrnes of the Downes area , just south of Bray, formed the most northerly region in Wicklow of the Byrne Septs. 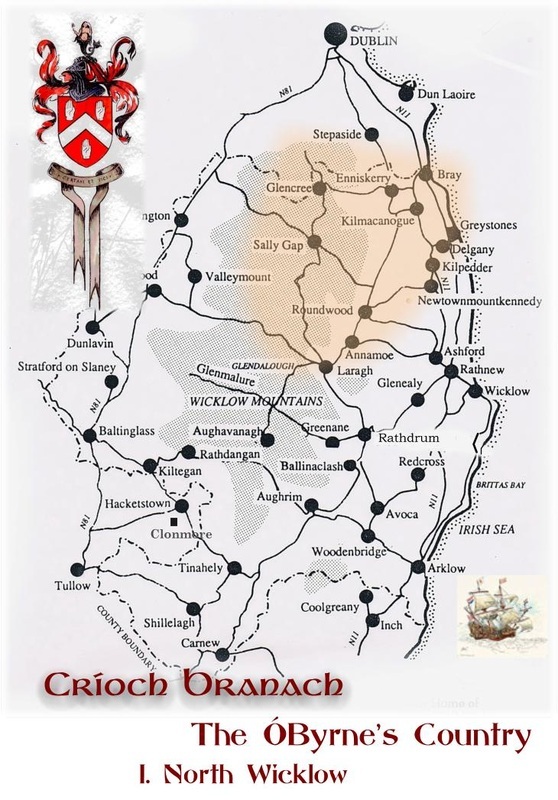 Positoned in a most strategic area, the Downes Hill , the inauguration site for the O'Byrne Chieftains, overlooked the only access for Government forces in Dublin thro the Glen of the Downes to the eastern coast to the south and to Crioc Branach. Today there are still many Byrnes living in this area. The Sept of the Downes.